– a state of overstimulation of the Central nervous system caused by factors of different etiology. In medical practice, this condition called insomnia. This violation cannot be fully attributed only to pathological diseases. 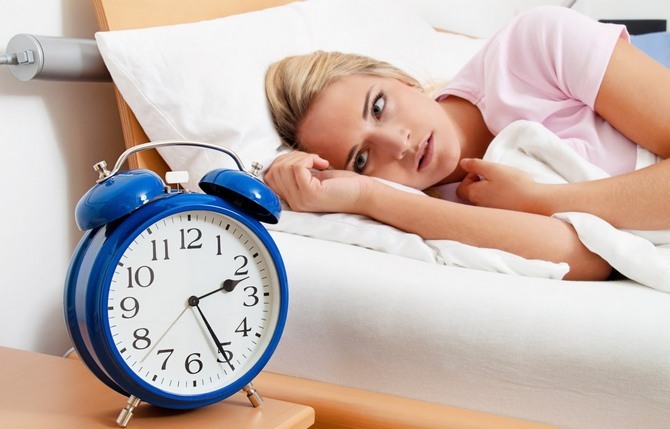 Sleep disorders suffer completely healthy people. The term insomnia can be equated with conditions such as long period of falling asleep, early awakening, shallow sleep and other States. Sleep is the physiological recovery phase of all system functions of the human body. In this period the cells of all organs and systems to restore your power supply, which is produced by the mitochondria. Even in sleep the cells operate only at reduced speed. For the regulation of the processes of sleep responsible for the cerebral cortex or gray matter. Billions I can even say cilliary clusters of nerve cells in the gray matter of the cerebral hemispheres during the light time of the day exhausted, tired and require rest. Increased concentration of CO2 and other residual waste products of the cells that are produced per day, give impulse to the cortex of the CNS. The brain meets the reactive inhibition of all the functions. Relaxed state causes sleep. Brain control of sleep is the reticular formation of the Central nucleus in the brain stem, through which the neuron releases chemicals causing the dream. These substances include neurotransmiter in the form of norepinephrine, dopamine and serotonin. Serotonin is responsible for the sleepy condition of the body. But there are compounds that are antagonists of sleep is types S and DSIP-Delta. Slow sleep meets type S, and DSIP-Delta causes a revival. The main reason for sleep disturbances that interrupt the chain reaction of sleep that occurs due to the excess of DSIP-Delta substances. Violation of any of these phases causes sleepless condition, but need to stress that each person is an individual mechanism. The same physiological processes in different people proceed in different ways, i.e. some need to recover 7 hours of rest, the other 9 hours. There are exceptions for three hours of deep sleep, some people recover 100% of the potential forces. tumors malignant and benign order. a long but superficial sleep or prodromal state, i.e. no phase of deep sleep. All symptoms increases depending on the course of insomnia, that is, depends on acute, subacute and chronic conditions. Acute insomnia lasts for a short time. This trend is temporary. After the cause of insomnia disappears. The change of residence, travel with different time zones, stress, fatigue and so on belong to the acute, which can last up to 7 days. For subacute is when symptoms of insomnia continue for 2-3 weeks. Factors such sleep disorders can be disease, injury and surgery, as well as severe stress and depression. Headaches, anxiety and depressed mood always accompany insomnia of this kind. Insomnia with a chronic course associated with somatic diseases such as hypertension, diabetes mellitus, thyroiditis, neurosis, anorexia and other diseases associated with symptoms of irritability, shortness of breath, cough and pain. Before to start treatment of insomnia, it is important to establish and correct the root cause of stress, illness, etc. The second step to resolve the sleep process improving conditions for sleep, then there is silence, warmth, comfort, comfortable furniture and bedding. sedatives Diazepam, Elenium, Tazepam, etc. Violation of the deep sleep phase, when further enhanced insomnia treatment which with the help of these agents does not produce the desired results, it is necessary to treat stronger drugs benzodiazepinovogo Zolpidem. Also shown herbal – tinctures and herbs Melissa, peppermint, lemongrass. Useful relaxing bath and rest on the beach.